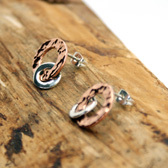 An attractive and unusual pair of sterling silver and copper earrings from the Pura Mexico range. 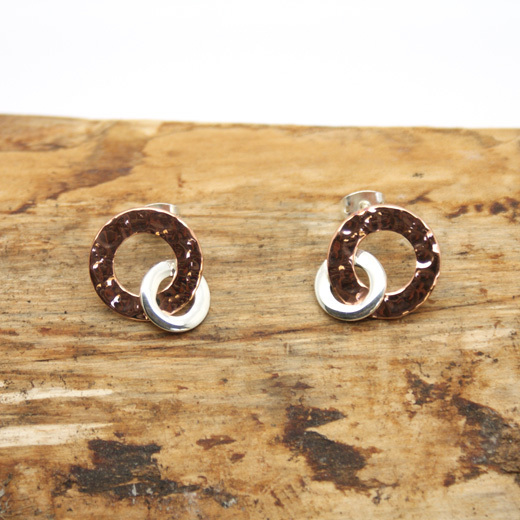 The earrings are created with two handcrafted highly polished open circles. The smallest is an open 925 sterling silver circle linked through a larger hammered open copper circle. 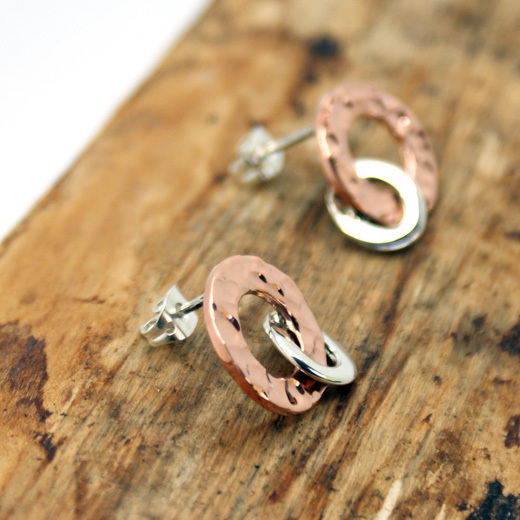 The combination of the two metals is very striking, will enhance any outfit and look equally elegant with evening wear. 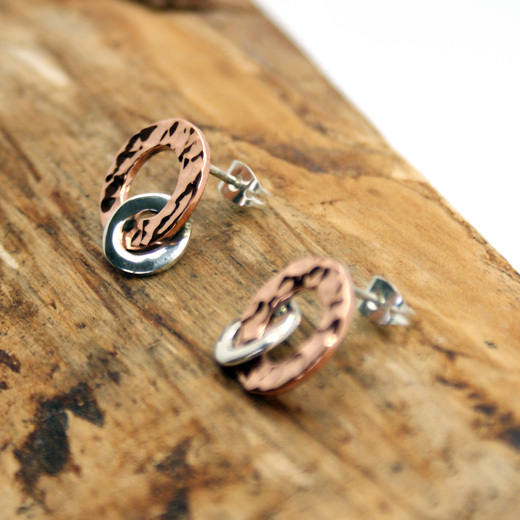 The earrings are for pierced ears only, with butterfly fixings. Not exactly what you are looking for? 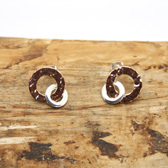 We have a wide range, see the copper and silver earrings gallery for other options.